Total walk length: circa 8 km (5 miles) Return: circa 17:30 hours Refreshment stop at Danish Camp cafe In wet weather conditions; please wear waterproof boots or bring a change of shoes/socks as your feet will get wet. 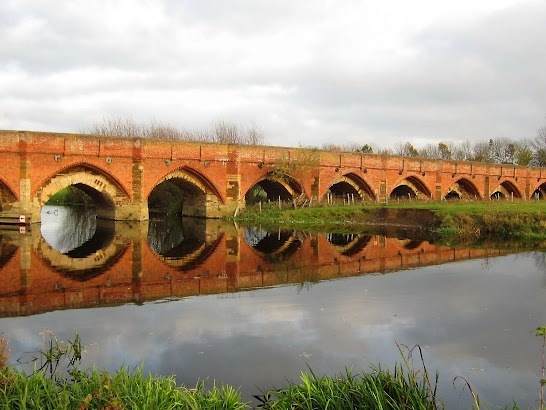 We are going to start in the village of Great Barford, famous by its medieval bridge. Break at Danish Camp – described as Bedfordshire’s best kept secret (we might spot a European eagle owl there), followed by a stop to admire the historical Dovecote. Walk finishes at Outdoor store at Goldington Road, Bedford, for some afternoon outdoor shopping. Perfect if you like to try on new walking boots!